The travel industry veteran who co-started Upgrading.cc, a platform for hoteliers to upsell prior to guests’ arrival, shares his thoughts on technology that impact the hospitality industry. As consumers worldwide continue to embrace the convenience and instant gratification from online travel planning, Upgrading.cc brings travellers the ability to secure their desired hotel upgrades prior to arrival. The world’s first online travel platform that lets hotels and service apartments upsell at no investment offers guests ease of upgrading process. Its recently launched E-retail feature also provides Hotel partners opportunities to generate additional revenue. 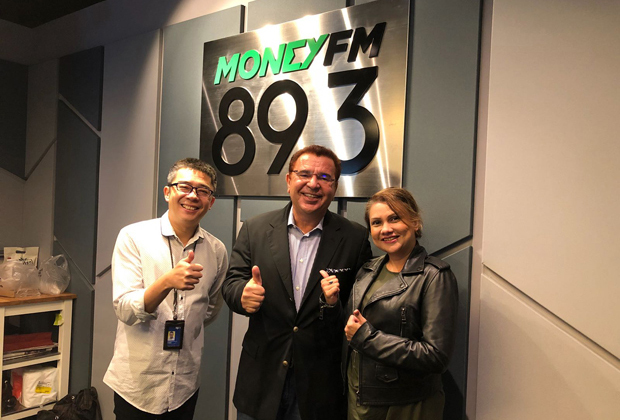 As customers are becoming spoiled for options in terms of easily accessing accommodation services via their smartphones, 3 to 4 stars hotels will serve as the future of hospitality, said veteran hotelier Cetin Sekercioglu during a recent interview with The Jakarta Post in Jakarta. Upgrading.cc is the world’s first 3-in-1 online travel platform that allows hotels and service apartment to upsell premium rooms and add-ons through multiple channels, including website and app. Hotel partners can now offer their products and services as value add-ons to customers with confirmed room reservations on travel platform Upgrading.cc. The world’s first online travel platform that allows hotels and service apartments to upsell at no investment now offers guests an additional option that enhances their overall staying experience and helps to generate higher revenue for its Hotel partners. Upgrading.cc promises to make purchasing upgrades more efficient - bringing benefits to both customers and the businesses that serve them. The sharing platform allows partner hotels to list their upgrade offers, which the users can take up. With 30 years of hospitality experience, at Shangri-La Hotels and Resorts, Millennium Hotels and Resorts, and the Asian arm of Millennium & Copthorne Hotels, Cetin Sekercioglu is now set to bridge a new gap in the industry. Upgrading.cc CEO Cetin Sekercioglu on how his travel platform allows pre-arrival hotel upgrades. Cetin Sekercioglu Cetin Sekercioglu, hospitality and travel industry visionary, has cofounded Upgrading.cc and taken on the role as its Chief Executive Officer. Launching in the third quarter of 2018, Upgrading.cc is the world's first online travel platform that allows hotels and service apartments to upsell at no investment. Launching at a pivotal moment in travel, as consumers worldwide continue to embrace the convenience and instant gratification of online travel planning, Upgrading.cc brings travelers the ability to secure their desired hotel upgrades prior to arrival, and on their own terms. Former Shangri-La Hotels & Resorts’ executive vice president South-east Asia Cetin Sekercioglu has laid down his corporate suit and is developing an online platform that sells hotel ancillaries – room upgrades, lounge access, club room and suite promotions – a huge income stream for hotels, he says, but one they are neglecting. The hospitality veteran's online travel platform Upgrading.cc, launching in Q3, will offer hotel upgrades to interested guests. Launching in the third quarter of 2018, Upgrading.cc is the world’s first online travel platform that allows hotels and service apartments to upsell at no investment. Cetin Sekercioglu is the Co-Founder and Chief Executive Officer of Upgrading.cc, the world’s first online platform that increases RevPar gains through disruptive upselling technology.